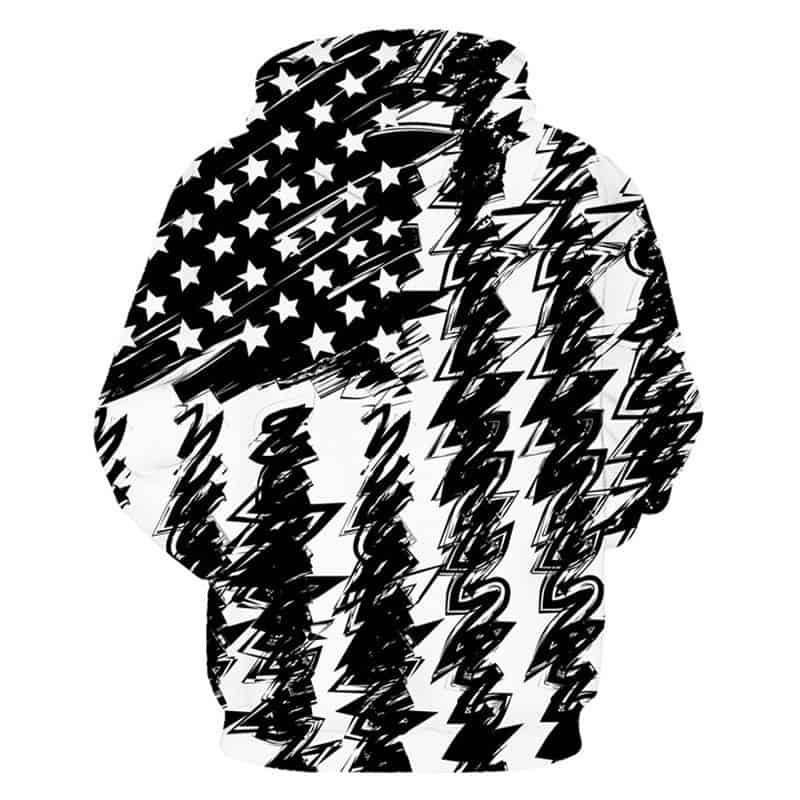 A very stylish abstract black and white concept of the American flag. 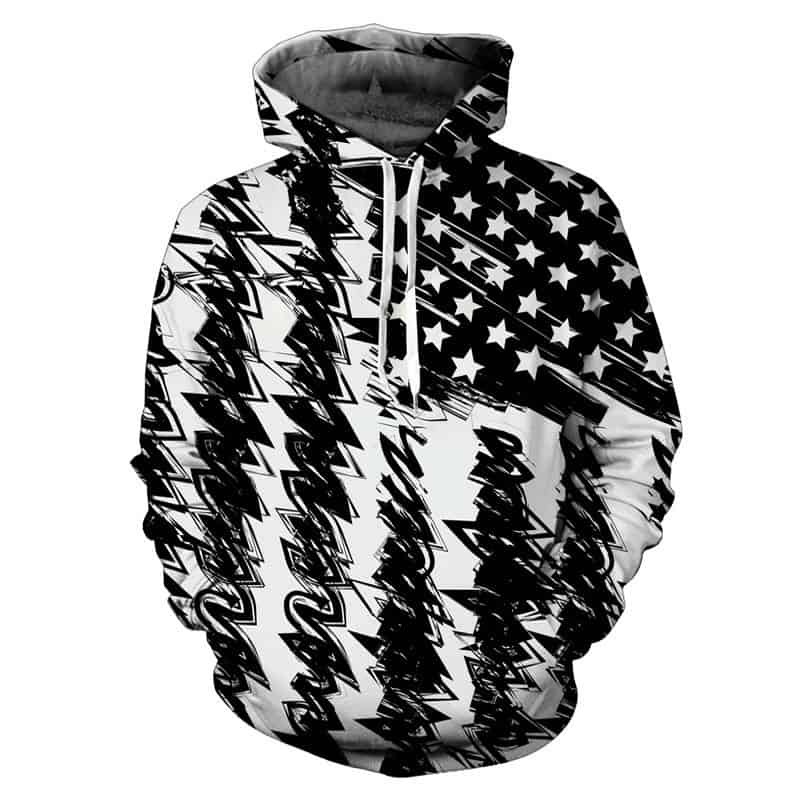 If you are patriotic yet stylish then this american flag hoodie is for you. The hoodie is comfortable to wear, looks fashionable and is wearable anywhere. It was designed for both male and female. fast and perfect condition Shipping. seller recommend. very good product, size conforming anuncio, good seller delivery rapida, comprarei again.